D.Wilson~Art Pottery & Design LLC. Hot Spots to Buy Pots! PLEASE NOTE!! Check dates as this website is not updated as often as it should be. 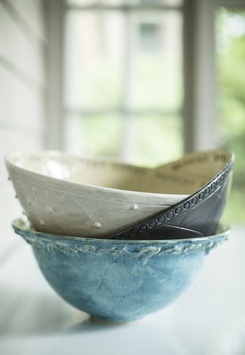 My custom Heirloom bowls have become the most popular gift to give for life's most monumental occasions. Handcrafted of functional stoneware in a variety of designs and colors. No two bowls are exactly alike. With variations in the glazes and your own custom quote in the interior rim of the bowl to make it a special gift no recipient will ever forget. The bowl you give today will be cherished for many years for generations. I have a variety of quotes to choose from or personalize it with a quote of your own. "Of all the fish in the sea, I chose you and you chose me"
Baby Name ~ Birth Date ~ etc. Anniversary Bowls with personal Quote example for the couple who loves to sail "John & Mary Lou ~ 30 Years of Smooth Sailing"
See examples of color and design styles in the photo gallery! Follow D.Wilson~Art on Facebook for all of my works-in-progress and daily creative interests! Shop Etsy.com for fabulous handmade goods from many talented designers and crafters. Buy something made with love and shop locally too! 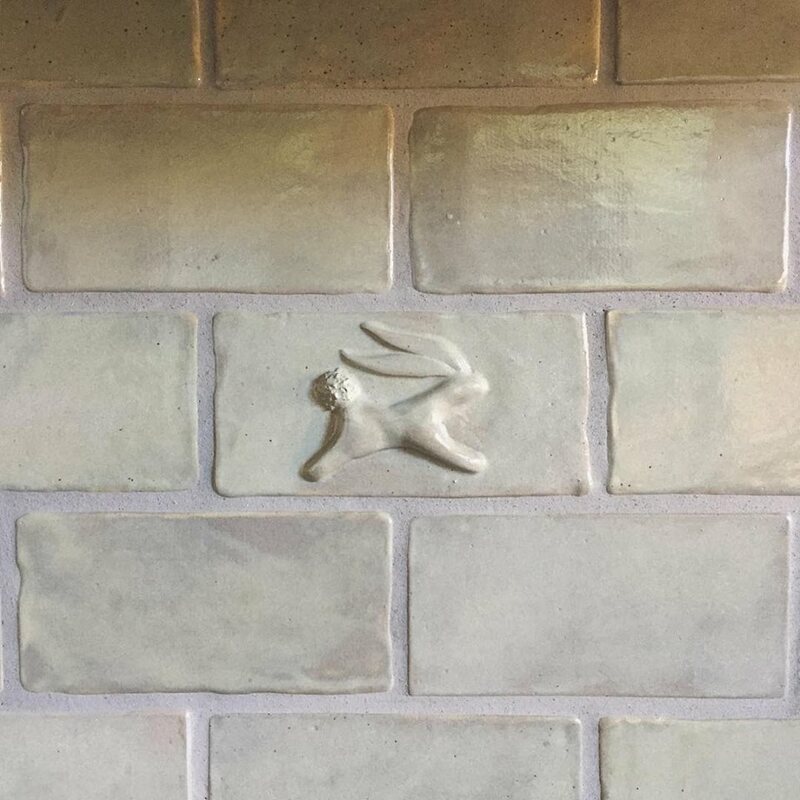 I recently made my very own custom kitchen tile for my own home. It was beautifully installed by Jason Clatterbuck of Homestead Interiors & Design. If you are looking for something special, not manufactured, but with the charm and exquisite craftsmanship of something completely handmade, let's talk. I can incorporate my artisan sculpting skills to create a look that is as unique as you and your family for your home.